Enjoy various of outdoor and indoor activities from Siam Adventure Club led by our dedicated friendly staff at Surin Beach Resort. Activities consist of aqua aerobic, water polo, Thai boxing, table tennis, water valley ball, stretching exercise, and abs class. Our spacious pool is turning out to be the coolest and the best kid-friendly family foam party in Phuket. 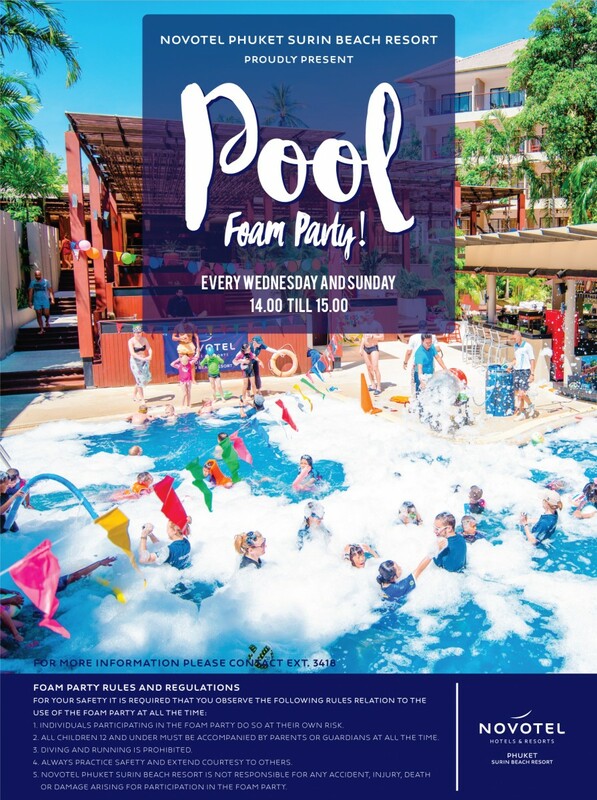 Enjoy dancing, jumping, swimming, playing bubble and anything you want with your friends and family in the foam pool at Novotel Phuket Surin Beach Resort.